In this day and age, a USB flash drive is practically a necessity. You'll want to carry one with you at all times since you can never tell when it may come in handy. To point out the obvious, the thumb-like dimensions of a USB is what makes it easily portable. Its miniature size can also be quite an inconvenience, though-you'll most probably run into a" needle in a haystack" situation with it more than once. 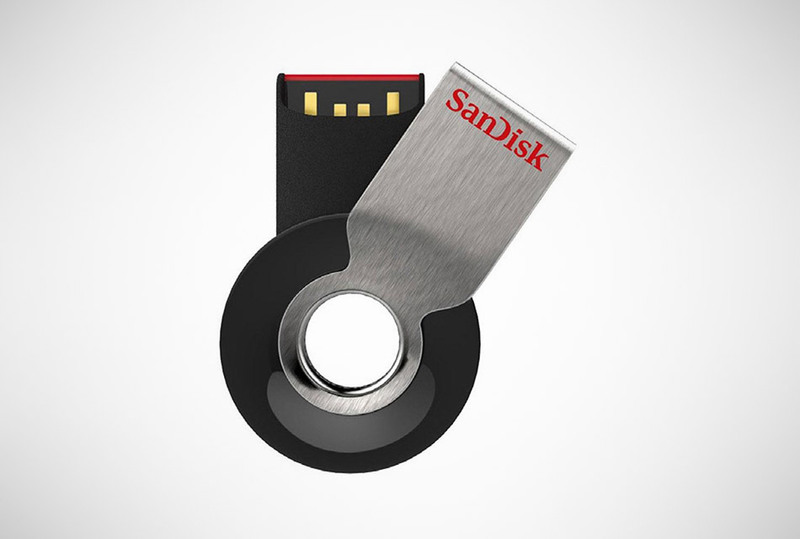 You can avoid such circumstances with the SanDisk Cruzer Orbit. Featuring a 360-degree swivel design for greater protection and portability, the Cruzer Orbit can be attached to a key ring, a three-ring binder, or a lanyard. That, of course, significantly decreases the odds of the USB finding its way towards the lost and found section (unless you have a penchant for losing your keys or your binder).